April 26, 2015 Bronx NY- It is intensifying it is electrifying but most of all it is amazing. To talk about the Subway series is one thing but to experience it live is another? And on a night like Sunday it was a night you could not believe. It was like watching Olympic gods battling to self-proclaim who is the best. The first four innings were like a boxing match, the Yankees and Mets went blow for blow every inning either matching or bettering the other. The aura in the stadium was a feeling like no other this was far more than just a regular season game. The electricity in the stadium along with the buzz and the hype made this game feel like a playoff game in April. With every “Let’s go Yankees” chant the crowd cheered the Met fans countered with a “let’s go Mets”. The crowd was live and involved from the start with every pitch the crowd cheered and with every hit the crowd roared. The Mets were off to a fast start as they looked focus on stealing the Yankees thunder and the series. Curtis Granderson hit a solo shot on the 9th pitch of the game and Daniel Murphy doubled to bring Lagares home for a quick 2-0 lead. Alex (A bomb) Rodriguez had an answer hitting his 659th career HR to the opposite field just over the glove of Curtis Granderson landing in the Yankees bullpen that sent the crowd into frenzy. The crowd erupted chanting A-Rods name as he rounded the bases. In the second inning the Yankees continued to pour it on Niese and the Mets hitting four double to score four more runs capped by another big hit by Rodriguez who was thrown out at third to end the inning after trying to stretch the double to a triple. In the top of the third inning the Mets looked to get even scoring two more runs off Eovaldi chasing him out the game in the fourth inning but after Juan Lagares hit in the 5th inning the Mets bats went silent the rest of the game. In Rodriguez’s next at bat fans were cheering his name wanting to see more from what seems to be their hero thus far in this young season. The Yankees have won 7 of their last 10 games after losing the first three series of the year they have won the last three bringing them to first place and an (11-8) in the AL east. The Mets still own the best record in baseball but must stop committing errors that they have been able to get away with because of their offense. Today’s errors they could not get away with as the Yankees were able to tame their bats. In the seventh innings the ever so famous Derek Jeter chants echoed the stadium from the section known as the “bleacher creatures” and continued to do so for about five minutes it was a sight and sound that had to be experienced for you to truly see and feel the excitement. 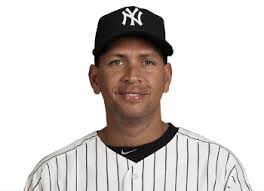 After the game A-Rod was asked about the HR he hit and his pursuit on Willie Mays he answered with “my dad’s favorite player was Willie Mays and I try not to think about the pursuit as long as we’re winning I am happy, the Mets are the gold standard of baseball right now so to win the series was a great accomplishment”. If you haven’t experienced a subway series game the only way to understand the magnitude of the rivalry is to experience one so make sure you do come September. My name is Jose Gonzalez I am a student currently attending (LIU) Long Island University pursuing my degree in both Business Management and Marketing. I was born and raised in Brooklyn graduated from Beach Channel High School whos acronym B.C.H.S. is the way I live my life "because committment has sacrifices". Lastly I am an aspiring writer who loves sports in general sports have played a very important role in my life it was the epicenter of my childhood and continues to be now.